12 Session Beers That Are Perfect for Summer GuzzlingWhat to drink when you want to drink more than one. 15 New York Spots Ideal for Summer Day DrinkingOutdoor patios, great rooms for escaping the humidity, and dives where you can be left alone. The Absolute Best Iced Coffee in New YorkWhen it’s made right, cold coffee is a wonderfully smooth, subtly aromatic staple of summer. 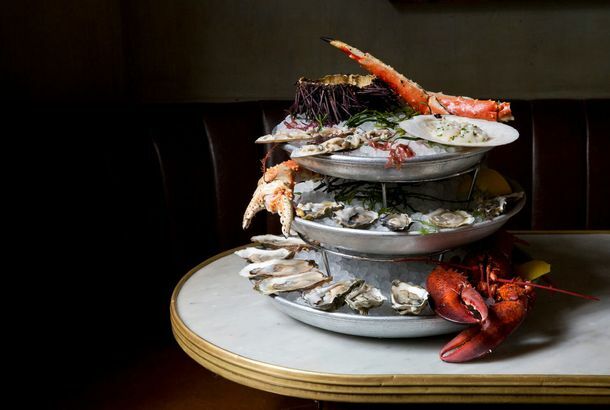 The Absolute Best Raw Bar in New YorkWhere to find the freshest oysters, the grandest seafood towers, and the sweetest clams in town. An Indulgent Summer-Eating ChecklistFrom an ice-cream sandwich that gets you high to a $1,200 margarita. 8 Boozy, Icy Desserts to Cool You Off This SummerPound an 80-proof milkshake. Or a spiked snow cone. Or a frozen Red Bull-and-vodka. 25 Fried Foods Worth Getting Fat For This SummerConsider it your deep-fried bucket list. The Absolute Best Lobster Roll in New YorkStyles, and tastes, vary, but there’s no arguing with excellence. The Absolute Best Piña Colada in New YorkWhen made right, it’s one of the world’s great drinks. These spots make New York’s greatest.